On 15 April 2014 more than 200 high school girls were kidnapped in Chibok, Nigeria by the terrorist organization Boko Haram. Aged 15 to 18 and Christians and Muslims alike, knew the dangers of pursuing education, given that various schools in the area had recently closed in March due to fear of terrorist attacks. This reminded me of the time the Kony 2012 campaign had taken over social media and received worldwide attention through hashtag activism. Without doing any research, I was impressed by the video and liked everything to do with Invisible Children on Facebook. It was not until later when the critiques of the campaign came out that I realised I had not formed my own opinion and had blindly followed a trend of the time. After further research on the facts I hit ‘unlike’ on the relevant pages as fast as I had hit like. During the first few weeks of the girl’s kidnappings, the Nigerian government had been slow at acknowledging the incident, let alone making any official statements, which is why the Nigerian people took to social media to have their voices heard. I didn’t know much about what was happening in Nigeria but could empathize with the Nigerian expats in Australia. When Osama Bin Laden was captured in Pakistan I felt really embarrassed to tell people that I was born in Pakistan due to the negative connotation that had for some people in Australia. I decided to see if this was the case with my Nigerian friend living in Perth. Did he feel the same way? What were his thoughts on Boko Haram and the government? Did social media bring power to the Nigerian people? Will social media campaigns bring the girls back? During the interview, I could sense his passion in wanting to do something within his capacity to bring more awareness to the kidnappings. At the same time the sense of helplessness of being so far away and not really having the power to be able to take real action – i.e. 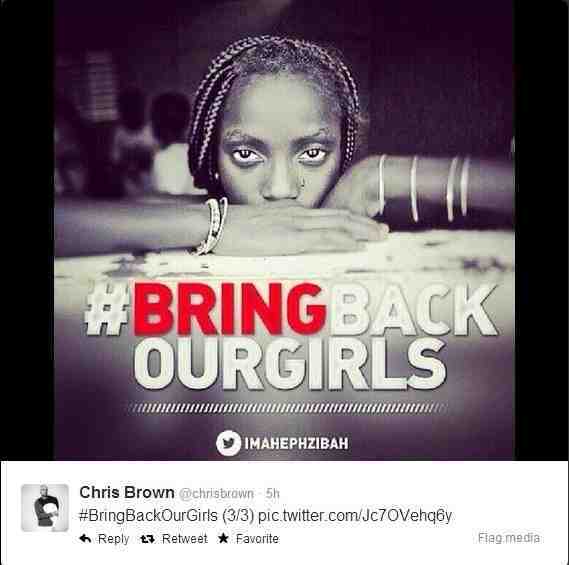 to bring the girls back, which is ultimately the responsibility of the Nigerian government. He stated that his immediate reaction and fear was that it could have easily been his niece as she also goes to a boarding school. He further went on to tell me it was normal to expect attacks on churches, especially in the North, and he prayed that God helped the girls through this ordeal. He was very fervent in stating that such incidents cannot continue. He believes that people like Boko Haram have no soul or logic to what they are doing. When asked what he thinks of the government’s handling of the situation, his reply made me feel like I was listening to my own feelings coming to life: ‘I felt embarrassed to be Nigerian and it made me want to crawl under a rock and hide.’ He went on to add that the Nigerian president has stated that even he is not safe, so Nigerians should be careful, basically not taking any responsibility. My friend preferred to have the American military come in and ‘take the oil’ as long as they helped the country on a path towards development. I firmly believe Pakistan should not rely on America. Jumoke Balogun, a Nigerian-American writing for The Huffington Post, has similar views as me, believing Americans have no right to interfere in Nigerian affairs. The Nigerian people challenged their government to address the issues of the missing girls by going on social media and now it is up to them to seek justice and hold their government accountable – not the American military. Writing for the Guardian, Matt Collins states that hashtag activism tends to endorse western countries patting themselves on the back for superficial ‘help’, such as the No Makeup Selfie campaign, which became all about vanity, and at the same time they provide justification for invasions. I believe hashtag activism gives people power, including allowing expats to overcome their helplessness in remaining connected to the opinions of their fellow countrymen. This is a good start for Nigeria – it is the first time anything in Nigeria has really gone viral enough for the local and international community to take notice. I just hope the world does not turn its back on Nigeria and its missing girls. For me this emotive campaign is not about politics or gender discrimination or religion. It is about children. And we need to bring these children home to their parents. Safely. Initially no one took notice of these kidnappings, not even the Nigerian government. When first asked about the kidnappings, the First Lady called the story a fabrication and detained protestors. After international and national pressure, the government has offered a $300,000 reward for help in finding the girls, and has accepted help of the United States, the United Kingdom, Israel and China. I am much more supportive of the use of hashtag activism now that I have an informed view on the topic. I no longer feel ashamed of what goes ‘wrong’ in my country of birth. Instead, I am focused on how I can use social media (like the Nigerian people are doing) to bring forth a different view on what is really happening in Pakistan and ultimately hold the government responsible, so that they do what they are meant to do – protect their people, allow it to flourish economically and steer it on the path to development. Natalia Saeed is currently completing her Masters in Development Studies at Murdoch University. She is extremely passionate about ending global poverty, but is critical of the aid and development models that lead to dependency and enhance inequality. She is the Chair for Perth Development Circle and works full-time for the Western Australian State Government. This entry was posted in activism, International Development, Perth, Social media, WhyDev.org on May 23, 2014 by developmentcircle.